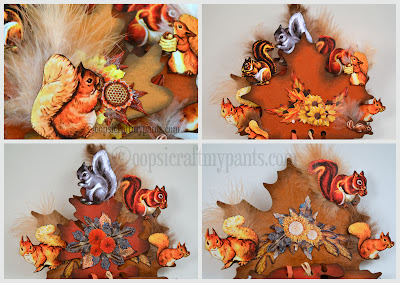 Squirrels, squirrels everywhere and not a pecan to be seen on any of my trees... 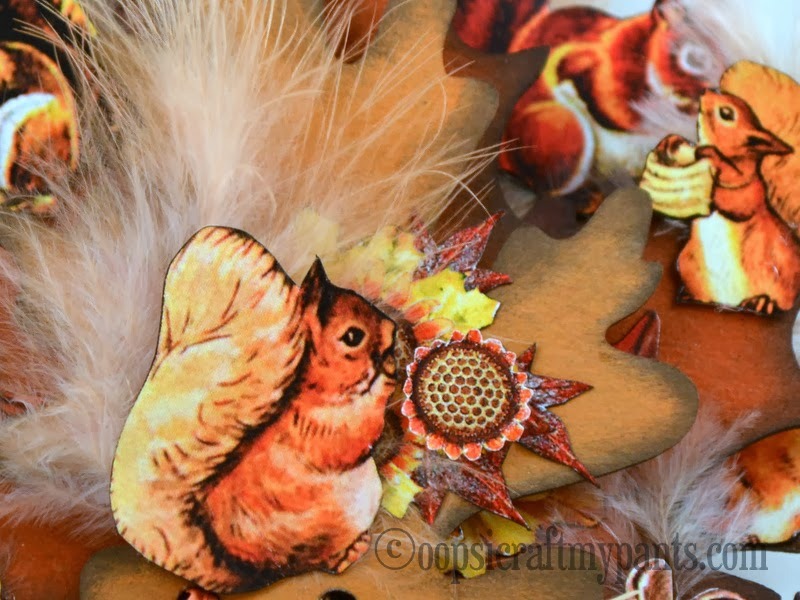 Fuzzy little buggers. Cute, even if they are pesky. 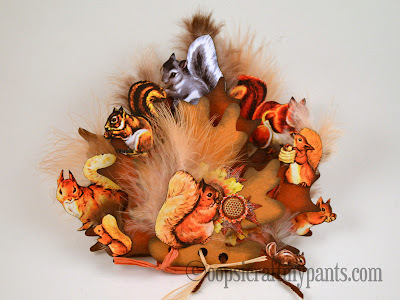 I made this Fuzzy Fall Squirrel Book using Alpha Stamps products. Feathers make a really good embellishment to put behind squirrel tails, because they're just so fuzzy and have great movement. 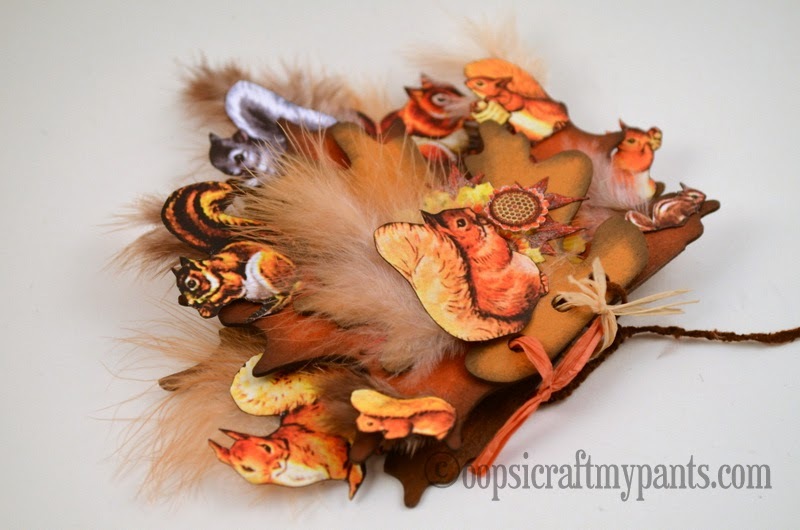 The squirrel images I used are from these two lovely collage sheets: S for the Squirrel and More Squirrels. Well, happy fall! I hope everyone is having a great time :) We've been busy out working in the yard and watching our chickens... waiting for the eminent egg-laying. I'm a new follower..... have to say this is just AdOrAbLe!!!!!!! Merry Christmas, Kira and family.